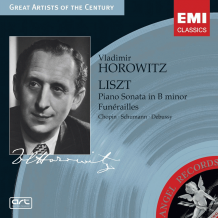 Vladimir Horowitz - Liszt: Piano Sonata in B minor etc. Liszt: Piano Sonata in B minor etc. ℗ This compilation & digital remastering (P) 2005 by EMI Records Ltd.